i played pubg & the amount of cheaters in there was crazy. For Mei, make sure to wall off chokes as soon as Rein or another immobile target walks through. They’re stuck there and usually end up dying. It’s okay to cancel Ice Block if you know you’ll survive or if it is beneficial. You can get two right-clicks off as Mei before the target unfreezes if you right-click the target immediately as they freeze. Her ultimate is great to use, even if t is just on one target. A prime kill like Rein or any support is worth it. If you ult as Mei, using her primary fire while the target is in her ult will near instantly freeze them. Zarya will remove freeze off a target if they’re frozen and she bubbles. Try to bait her bubble(s) if you plan to go for her or a target near her before ulting. It looks like there are a lot of Blizzard fans present again. Nevertheless, anticheat systems are ridiculously bad in today’s e-gaming environment. Even if there are a few magicians working at Blizzard, they can’t break a couple of rules. There are legal restrictions that severely restrict anticheat systems. There are also system-dependent restrictions. If you were serious about e-gaming in general, you would have to sell your own hardware systems. And above all you would have to implement it properly. That’s probably not something that would go well with casual gaming. At the moment you just have to realize that you can buy a mid-Diamond account for 40usd. For about 100usd a hacker will play with you in a group until you reach Grandmaster. Thousands of hack licenses are sold every month. Very valuable hacks have a long waiting list. A lot of money is made with hacks in Blizzard games. You can’t downplay that under any circumstances. I claim that there are now such good hacks for Overwatch that you could theoretically use them unnoticed in a LAN environment. It’s quite possible that Blizzard will perform post-event server-side analysis and keep definitions up to date, but it’s almost impossible to detect good hacks. I dont know, because I dont have any numbers of efficiency of VAC or Blizzards anti-cheat. The only insight I have are professional players who have cheated in the past, but are still around in the professional scene. This is only an anecdotal empiric impression as I have no insight into whether or not their burner-accounts were actually banned and simply replaced after their cheating. The only thing I want from Overwatch is to have the most sophisticated anti-cheat protection during the OWL events, etc. to crush any sabotage and to keep the wannabe-professionals aka cheaters far away in the PUBG and Fortnite streaming business. Anti cheat on OW is sorely dependent on reports, observation from the mods and basic information they get from the users machine, pretty improvised model. Apex Legends uses machine learning to detect unusual patterns (and raise red flags), I wouldn’t be surprised if OW started to do the same a few monthes back. It’s not that hard to implement. Server-side subsequent analysis of data has probably taken place since the beginning, I would just be a little careful when using the term “machine-learning”. I can’t comment on what the systems detect but, I can comment on how they seem to deal with it. Blizzard is miles better at that imho. 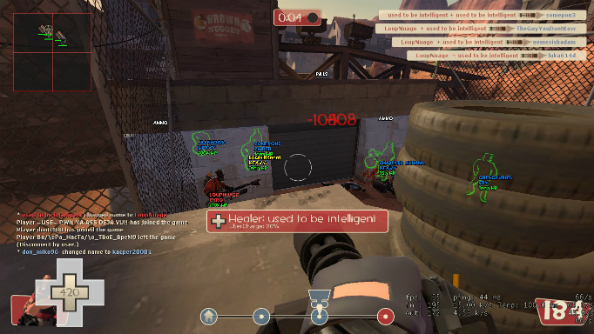 I hated Steam’s Anti-Cheat on TF2. It failed to act on cheaters in a timely manner to make it so the individuals cheating couldn’t tell how they were caught. The thing is this approach runs into issues when the people cheating aren’t hiding it. The guy that’s using a Sniper Aimbot that’s spinning with his head in the sky isn’t actually planning on getting away with it forever they just want to ruin as many games as they can till they finally get banned then pop out a new account and do it all over. Some of the more potentially subtle hacks took years for Valve to deal with them. 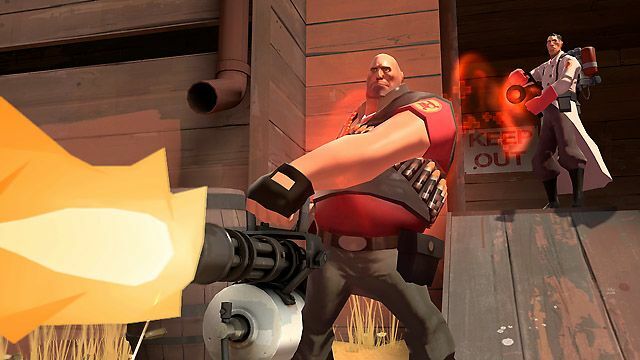 The most prolific TF2 cheatware LMAOBOX has finally been detected by Valve Anti-Cheat and resulted in a wave of bans that includes more than 160 UGC league players. But doing my time plaing tf2 i got more cheaters than during my time plaing overwatch. That’s why I don’t like terms like “artificial intelligence”, “cloud” and “machine learning” at all. Often existing terms are inflated with marketing strategies, so many think they have found the Holy Grail in IT. Anyway, wrong forum. I think it’s good that there are general analyses of Game-Data. To what extent it makes sense to analyze engine data with self-learned procedures remains a mystery to me. But I will be looking into this in the near future.